High quality, and good service. A good solutions provider for smart glasses. With the speedy development of advanced technology, we believe that in the near future, smart glasses will be used by almose eveybody. And VR glasses is the products of The Times and the technology. 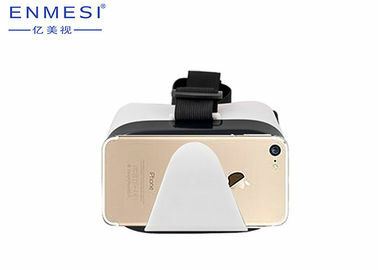 VR is a new industry, simply bring the virtual world into the reality with a vr box and smart phone. It can be used in many different field, like business promotion, education, medical treatment, entertainment, real estate, shopping and so on. With vr box, you can show your product very truly to the client. 1. Double radian asynchronous integrated optical lenses. Revise the optical refraction in the process of distortion reasonably. Plus a reasonable amplifying, making the clarity and immersive harmonious united. 2. Perfect buckle optical solutions coupled with our unique lenses, significantly reduce the problem of vertigo. 3. Double frame architecture compatible phone within a range of 4.7--6.0inch. 4. External phone snap-fit manner a solution to the problem of cooling the phone. 5. Small and light. Wear elegantly. 7. Support 360 degree video and picture, can allows you to experience the worldwide famous scenic spot without going out. 1. 3D VR Video Viewing: Download an vr video in mobilephone, and put the phone in the vr box. Watch a 3d film anytime anywhere. 2. 360 degree video: Download an App which contains some VR film or pictures, and put the mobilphone in the vr box, it can get you involved in the scenery, you can have a nice journey without going out. 1. 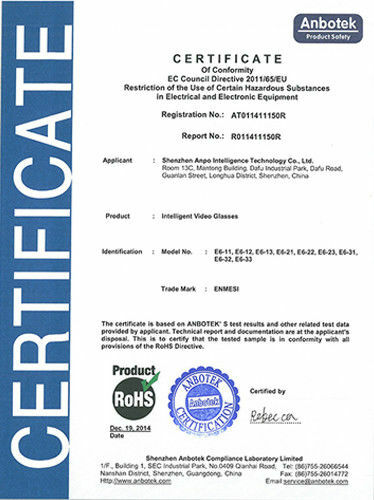 OEM & ODM-- OEM & ODM order are welcome. 4. Quality--Strict QC before shipment. 5. Products--Many kinds of smart glasses to meet your different needs. 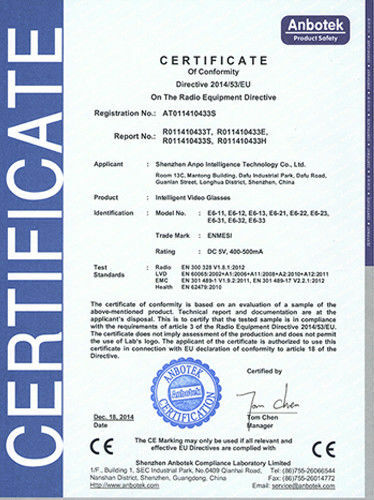 Shenzhen Anpo Intelligence Technology Co., Ltd.
China Good Quality Head Mounted Display Supplier. Copyright © 2018 - 2019 enmesi.com. All Rights Reserved.